Rheumatoid Arthritis T-Shirt Contest Winner! 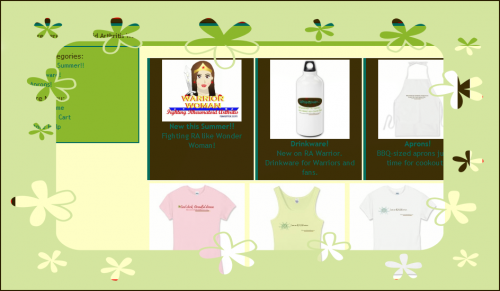 NOTE: NEW RA Warrior Wear rheumatoid arthritis t-shirt & gear store – Click here! Happy ending to the Rheumatoid Arthritis T-shirt contest! 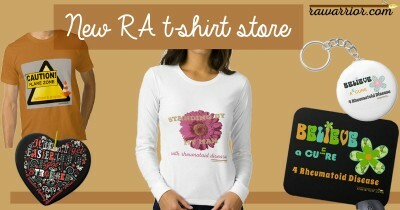 Two weeks ago, we began a contest to win a Rheumatoid Arthritis T-shirt from RA Warrior’s store. The contest ended yesterday, July 5that midnight. 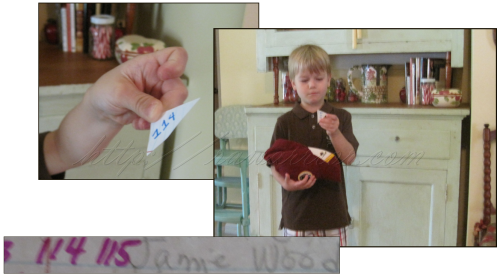 The drawing entries were all placed into a son’s Redskin’s hat and then Roo chose the winner! Drumroll please…. And the winner is… Jamie Wood! I can’t tell you how excited we were at my house to find out it was Jamie! Jamie was the first RA Warrior fan to do many things. She was the first one to submit a photo. She was the first fan to friend me on Facebook last year. 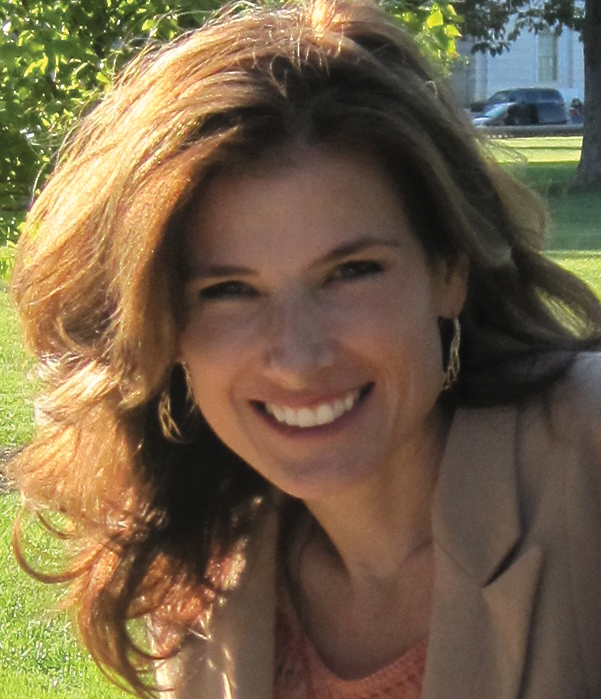 Jamie has been an encourager to me and many other warriors for a long time. 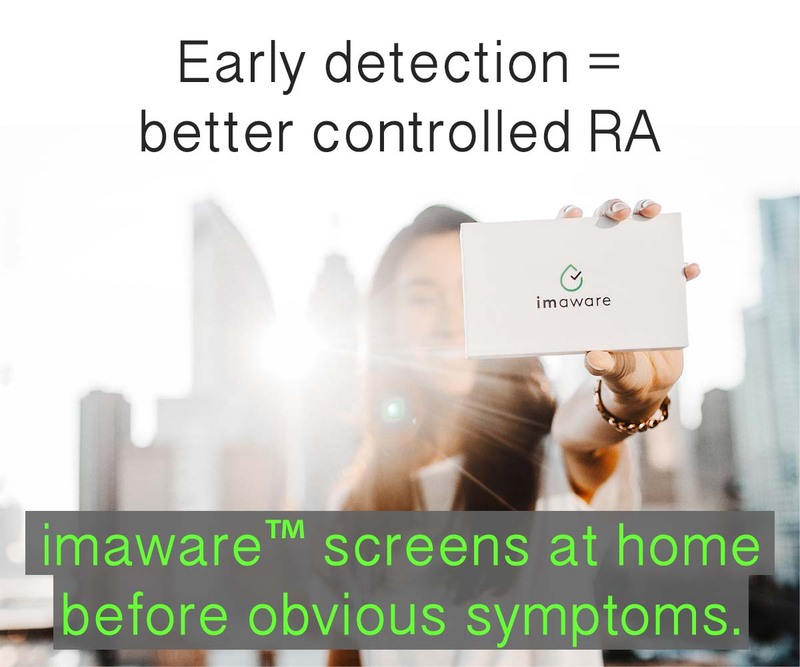 Rheumatoid Arthritis Warrior is made more than just a website, but a real community, by people like you who participate. Whether you comment or email posts to others or re-tweet links on Twitter, or wear a t-shirt, you are all helping to get the message out! 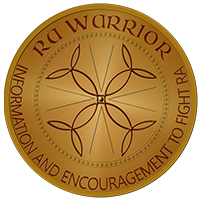 If you are a warrior fighting Rheumatoid Arthritis or if someone you love is fighting RA or another autoimmune rheumatic disease like Psoriatic Arthritis, Ankylosing Spondylitis, or Juvenile Rheumatoid Arthritis, please visit the Rheumatoid Arthritis Warrior T-shirt store. Submit an idea via email if you’d like. We are working on new designs and products all the time. Congrats Jamie! It couldn’t have happened to a braver Warrior Woman! You are a true inspiration, Jamie. YAY, I’m so glad for Jamie! She is a faithful supporter here, and on facebook. She is full of wisdom, wit, and understanding. I am SO excited that you won the Tshirt Jamie!!!! There is absolutely no one that I would rather have seen win it! You are Warrior personified darlin’ – an inspiration to all of us!!! Wear it proudly my friend! Congratulations, Jamie! We appreciate all you’ve done for us! Thanks so much for all your support and being so brave! I agree. LOVE Jamie! :heart: Pick out what you like & I’ll send it asap. Thank you for all the wonderful comments. Remember, I am just another owner of RA making it through each day. I help as I can and hope that I brighten at least one persons day. May God bless all owners of RA and those that love and care for them. Roo, you are such a darling young man and did a wonderful job helping your Mom. Love and gentle hugs to all, Jamie.